Birdman or (The Unexpected Virtue of Ignorance) is a rare and unexpected delight from director Alejandro González Iñárritu, a filmmaker who has made a habit of producing dense, multi-plot storylines that converge in their final moments to offer some Great Truth. 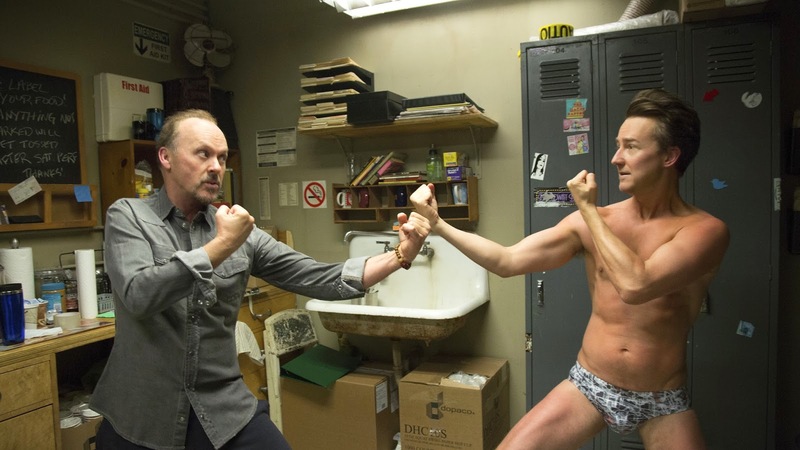 Birdman somehow feels both narrower and more transcendent. When the score's percussion takes over, a stifling anxiety sets in. When its symphonic sounds take precedence, Birdman soars. There is no need to clumsily converge at the conclusion because the linkage between Birdman's subplots is already baked into its script, a tale of the backstage chaos that ensues when former blockbuster action star Riggan Thomson (Michael Keaton) mounts a serious comeback in a new venue, Broadway. Casting Keaton as Riggan is genius. The star was at the vanguard of the superhero trend that has overrun studio releases when he played Batman 25 years ago. Except for a few dramatic roles and forgettable comedies since then, Keaton has kept a fairly low profile for a guy who once starred in a powerhouse box office franchise. Keaton voluntarily stepped back from the limelight to focus on family. Riggan is an alternate version of Keaton who embraced stardom, and now has only a lifetime's worth of regret to show for it. His Riggan is a man whose edges are already frayed when Birdman commences. Iñárritu first introduces Thomson as he floats serenely like a mystical yogi in his dressing room. There are indications that Thomson can move objects telekinetically, and he keeps counsel with a voice that sounds a lot like the Birdman character that made him his fortune. It's frightening but understandable that his supernatural abilities may all be imagined. Consider the stresses he's juggling: a fresh divorce; his daughter Sam (Emma Stone) just out of rehab; one of his stars Laura (Andrea Riseborough) possibly pregnant with his child; all while he has sunk his money into a Raymond Carver work he stars in, directs, and has adapted for the stage. Cinematographer Emmanuel Lubezki, who so expertly guided viewers through a nearly real-time disaster scenario in one, gimmicky take in last year's Gravity, does one better in Birdman. 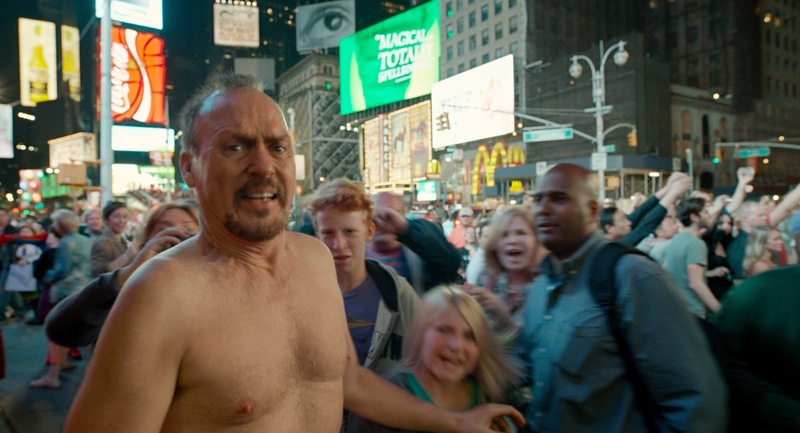 Except for a few abstract framing shots representing Thomson's state of mind, the entirety of Birdman unfolds in a single take. But here it feels organic. Not only does the idea of a single take share an affinity with the stage where one can't cut away to another shot, it also makes most of Birdman a sort of fever dream as projected by the disintegrating Thomson. That the power center onstage and in Thomson's relationship with his daughter shifts toward the play's new leading man, the arrogant but gifted Mike Shiner (Edward Norton), is a transition that doesn't bleed into Birdman itself. Lubezki's photography grants Keaton an omniscient perspective even as he himself questions his tenuous existence in the face of the potential negative reviews headed the play's way. 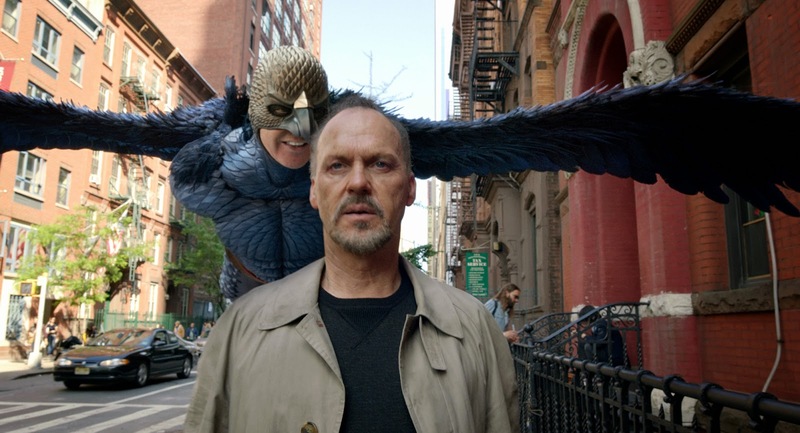 Birdman is a metaphor for Iñárritu's own inability to separate his self-worth from that assigned to him by film critics like me... or not like me but like shrewish theater critic Tabitha Dickinson (Lindsay Duncan) who guarantees Thomson a bad review because she has an axe to grind with movie stars encroaching on the sacred territory of the theater. Despite Keaton's real life decision to rise above the expectations connected to stardom, his investment of autobiographical details into his performance is an acknowledgement that artists at any level cannot easily ignore criticism when they are so tied into their vehicle for expression. "You hate bloggers. You mock Twitter. You don't even have a Facebook page," Thomson's daughter Sam tells him. "You don't exist." In spite of any indications to the contrary, Birdman is Iñárritu's emphatic affirmation that Riggan and indeed all creators are masters of their own reality. very true. such a great movie. but i've always been a fan of Iñárritu, who i thought really went outside his box with this one. It's a little too absurd for me at times, but the story -- and the score -- is excellent. Tony: Excellent review and like you, I agree that this film is a welcome departure for Iñárritu, in that it does not wrestle with the weighty problems of the planet. I agree that the symphonic passages of the score were well done, especially accompanying Keaton's dialogue on stage, which are among the most wonderful moments in this highly original film. While I did find that the screenplay did have a moment or two of self-importance, those moments were fleeting, as most of the lines are well written and often very funny. Keaton is brilliant in this film and for me, the performance by Naomi Watts is among her finest work. Finally, the message of this film- that you can conquer your inner demons - is a beautiful theme and one that resonated with me. "While I did find that the screenplay did have a moment or two of self-importance, those moments were fleeting, as most of the lines are well written and often very funny." This is what made BIRDMAN for me, Tom. Thanks for your insights.